One-loss Notre Dame predicted to top undefeated Temple in Week 9. Each Monday, WhatIfSports.com’s college football simulation engine generates predictions for every Division I FBS game for the coming week. Our highly sophisticated algorithms simulate every play of every game to produce each team’s likelihood to win. Each matchup is simulated 101 times. The winning continues for our simulation machine. 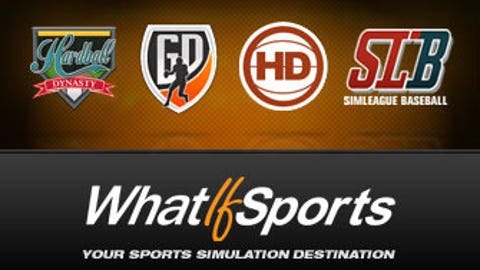 Last week, out of the 56 games, the results produced 80.4 percent winners (45-11). With the 20 games involving teams ranked in the AP Top 25, 80 percent of the predictions were correct (16-4). The computer simulations suggested a 33.4-28.9 win for the Red Wolves. Vegas listed this game with an over/under of 55.5 total points. The projected results pegged this game with an average total of 62.3 points. The actual game ended with 64 points. Even with our computers predicting a win for the Aggies, A&M dropped their second straight game. Though the Rebels also have two losses, they remain undefeated at home. However, the machine projected 59.2 points. That was 7.3 points fewer than the O/U (66.5 points). Track our 2015 performance or view our accuracy last season, when we correctly picked the winner in 77.6 percent of all games involving FBS teams. There is only one contest between two Top 25-ranked teams. The Temple Owls are 7-0 and are one of the three undefeated teams in the AAC. They currently reside in the top spot in the AAC East. The Owls defense has been relentless. Temple has allowed the eighth-fewest points per game this season in the entire FBS (14.6 points). The Owls are also sixth in the country in rushing yards allowed per matchup (only 91.9 yards per game). It will be an interesting contrast since ND’s C.J. Prosise is 11th in the nation with 922 rushing yards (7.1 yards per carry). 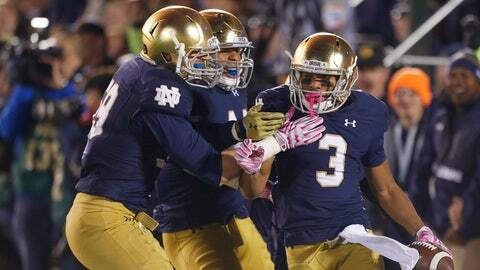 The Irish’s only loss all season has been to No. 3-ranked Clemson (24-22). After 101 simulated games, Notre Dame won 69.3 percent of the time by an average score of 31.4-25.1. The Ducks have yet to string together back-to-back wins. Arizona State has a lose one, win two trend this season. However, the computer believes both streaks will come to an end. When the 101 simulations concluded, Oregon won the day 57.9 percent of the time by an average score of 31.2-28.4. In addition, view our Week 9 power rankings or visit our college football archive for predictions from past weeks. For more statistics, view our weekly college football predictions.